I call this ” our rescue story” because not only did I rescue Grace, but I truly feel that she rescued me! Having my bichon frise pass away at age 15 in November and 2 grown children who live away from home, I was at such a loss without hearing the constant pitter patter of paws and adoring admiration from a fur-legged friend to fill the emptiness in my home. I knew so many compassionate people who had rescued before and my heart told me that this was the only route I would go. It is so disturbing and saddens me immensely to hear about how many innocent dogs are abandoned or needlessly euthanized every day and I would love to save them all if I could. Knowing that was not humanly possibly, I set my goal on finding that one dog that would melt my heart, the one I knew instantly was meant to be, and the one I was destined to give a forever home to. 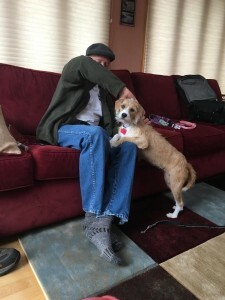 I was incredibly fortunate to be referred to Lori O’Neil, an adoption coordinator for Mutss4Rescue in MA who took the time to understand my lifestyle, the type of dog I was looking for and what personalities would be a good fit for me. 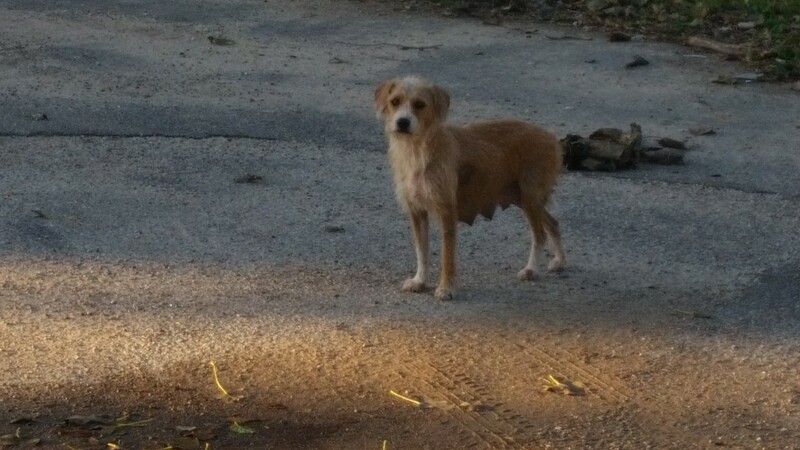 When she reached out to Sharon Rode on my behalf and sent me the photo of Grace when she was found as a new mother of pups, aban doned, in rough neighborhood of Houston, her soulful “help me” eyes told me instantly that she was the “one” destined to be rescued by me. After hearing first-hand how Sharon had discovered her, her angelic efforts to save her while risking her own safety, and bring her to her own home to help her, my gut feeling was validated. Sharon truly has a heart of gold and is a saint for what she does and there are not enough words that can do justice to thank her. 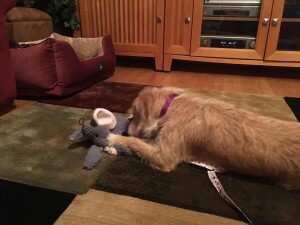 Throughout the entire process, we communicated regularly about Grace’s behavior, characteristics, health and more so we could both be comfortable knowing that it was a right fit. 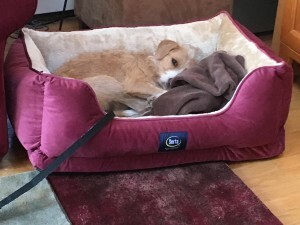 I know Sharon formed a special bond with Grace and as her heartfelt emotions resonated over the phone on the day of her transport to New England on January 30, I assured her that Grace was coming to a wonderful home and would be spoiled! When I picked up Grace, and fell asleep on me on the way home and I instantly fell in love! 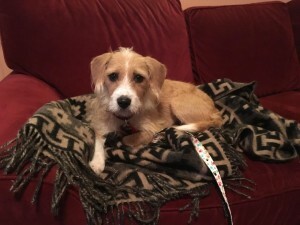 I was so fortunate that Sharon rescued her, because not only did she come fully vetted with all her medical records, spayed and micro-chipped, Sharon had made sure she came with a harness, medications, leash and more! I could not have asked for a more smooth process. 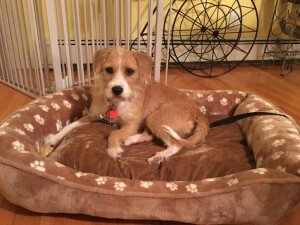 In the 2 days I have had her, she is adjusting very well – loves her crate, treats, walks and play time in the backyard! I have kept Sharon and Lori updated with photos and stories of her antics and look forward to continuing the relationship as Grace adjusts to her knew home. My heart is filled with warmth knowing that I was able to save this sweet little girl from an unimaginable fate and I look forward to having many years with her! Never in a million years would I consider getting a fur-legged companion in any other fashion. From the bottom of my heart, thank you so much Sharon and Lori!!!!! !